Lan Airlines, Santiago Chile have a plans to brings the Boeing 787-8 to Miami. January 3, 2014 brought the new Boeing 787-8 to Miami for the first time. The first visit was due to the snowstorm in New York (JFK). 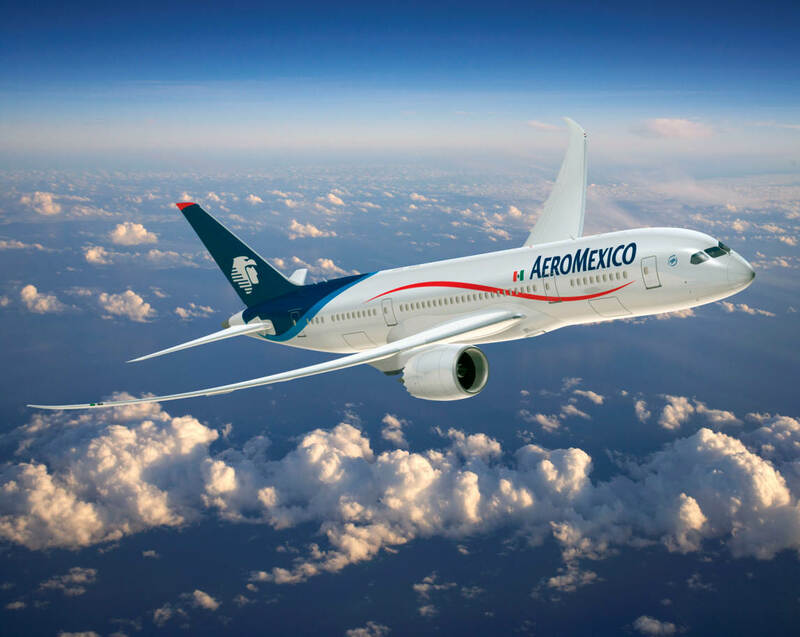 The airline is planning to commence regular once-weekly Santiago to Miami 787 service via Cancun starting on August 9, 2014 per Airline Route. 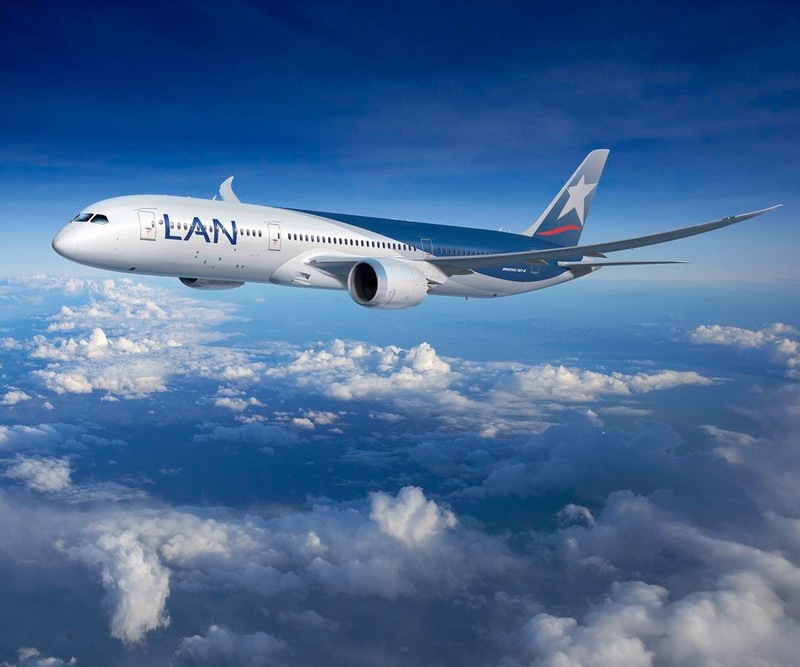 Starting August 09, 2014, Lan Airlines has planning to introduce Boeing 787 operation on Santiago de Chile - Cancun - Miami service. The Dreamliner will replace existing Boeing 767 service. 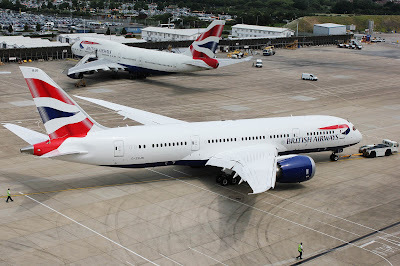 Boeing 787 British Airways, will launch to serve London Heathrow - Austin Bergstrom International Airport, Texas route do start from early March 2014, operating five days a week, increasing to daily flights later in the year. Seats and vacation packages are available for purchase at ba.com beginning today. This route will be the first regular trans-Atlantic flight for the city of Austin. The new service will have three cabins, Club World (business), World Traveller Plus (premium economy) and World Traveller (economy). The cabins feature stylish new interiors with state-of-the-art entertainment systems. British Airways provides meals, snacks and beverages, including full service bar for free. Customers can also benefit from a generous baggage allowance. This marks British Airways’ third destination in Texas, with the airline also serving Houston and Dallas/Fort Worth. Business and leisure travelers will fly into the modern Terminal 5 at Heathrow Airport with fast connections to the city or easy transfer to onward destinations in Europe, Asia and Africa. British Airways start from March 03, 2014 is introducing London Heathrow – Austin service, initially offering 5 weekly service on board Boeing 787 aircraft. This flight will increase to daily starting May 05, 2014. AeroMexico scheduled Boeing 787-8 Dreamliner inaugural service to Paris on October 21, 2013, 3 times a week, and start October 31, 2013 will increases for daily service. 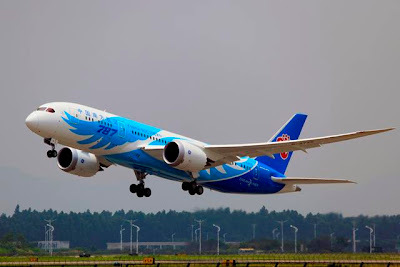 China Southern Airlines will increase flights increasing Guangzhou - Auckland start from December 04, 2013 to March 01, 2014, which sees the Skyteam member increasing overall service from 7 to 10 weekly, during the 2013/2014 peak summer season using its newly-delivered Boeing 787-8 aircraft for the three additional flights. The flights will be New Zealand’s first 787 scheduled service. Auckland Airport has focused heavily on growing connections between New Zealand and China. During the 2013 Chinese New Year Auckland Airport saw a record high volume of Chinese passengers, with the new services expected to increase that further. The airport recorded a 30 per cent increase in arrivals – or almost 50,000 more visitors – from China for the year ending May 2013. The additional flights will see an extra 18,000 seats on the Guangzhou to Auckland route between Dec 4 2013 and Feb 28 2014. Amritsar is a city in the north-western part of India. It is the spiritual centre for the Sikh religion and the administrative headquarters of the Amritsar district in the state of Punjab, 465 Km from Delhi. United Airlines, US is introducing New Boeing 787-8 operation on Seattle-Tokyo route start on November 5, replacing Boeing 777-200ER aircraft because the competitors ANA, Japan already operates the 787 on the same route on September 1, 1 month earlier than scheduled Boeing 787-8 United Airlines. 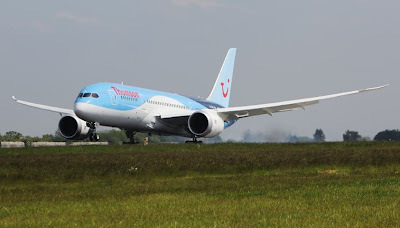 Thomson Airways airline from UK yesterday on July 8 started its first international flight Boeing 787 serve route Manchester, UK - Sanford, Florida, US. British Airways will fly a Boeing 787 Dreamliner on September 1, on regular basis flight, for cutting the costs by introducing fuel-efficient aircraft. Boeing 787 Dreamliner will be introduced on flights from London Heathrow to Toronto which is currently operated by Boeing 767 and Boeing 747. 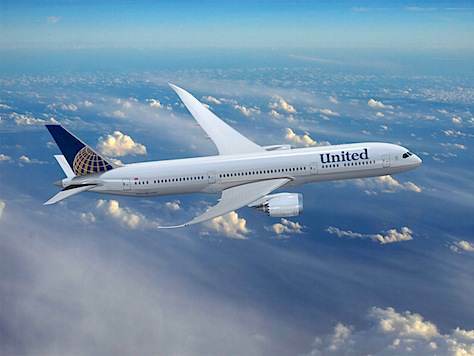 Meanwhile, flights to Newark Liberty which is currently operated by Boeing 767 and Boeing 777 also will replaced with Boeing 787 a month later. 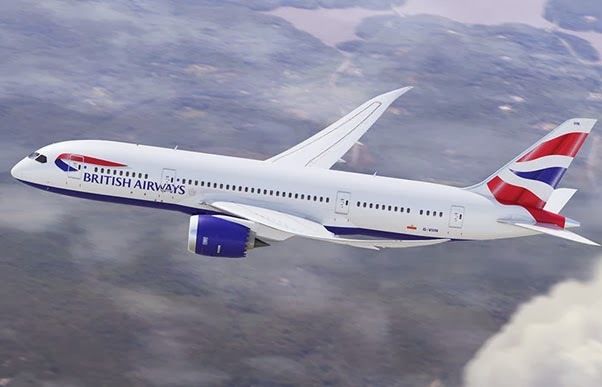 "Boeing 787 Dreamliner will be the main fleet of British Airways," Willie Walsh said, Chief Executive Officer of International Consolidated Airlines Group (IAG), the parent company of British Airways. 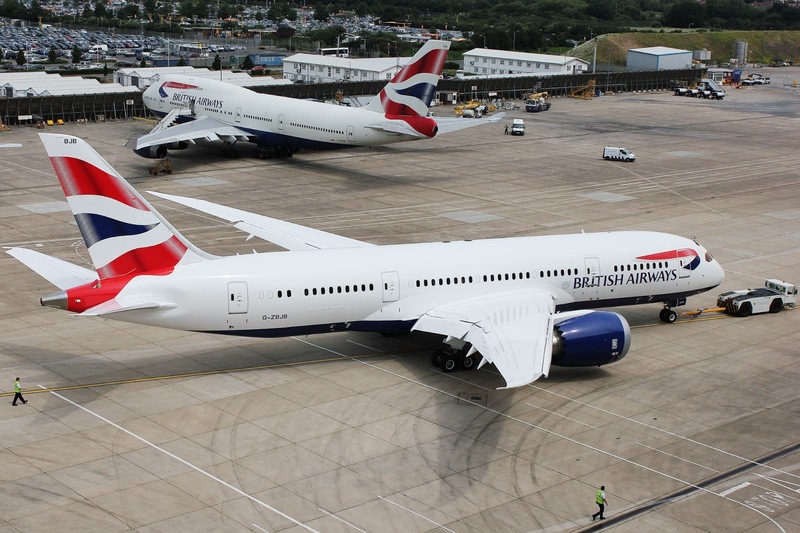 British Airways planned to receive eight Boeing 787-8 and 16 Boeing 787-9 larger until 2017, followed by the arrival of 12 Boeing 787-10 which became the biggest variant in 2018. Air India, come back serve direct flights to Australia after a 16-year absence. 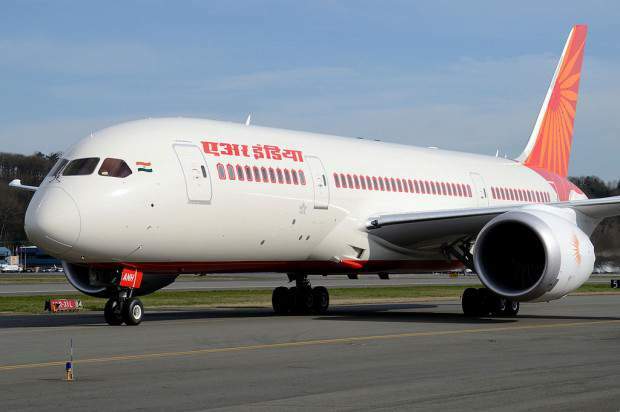 This route will operated by its Boeing 787-8 Air India and will become the first 787 operator in Australia. The carrier is launching a triangulated route will operate four days a week Delhi-Sydney-Melbourne, with the remaining three days operating Delhi-Melbourne-Sydney. Air India, resume direct flights to Australia will starting on August 29. The airline’s announcement, which was made at the recent annual Routes Asia conference, turns around the lack of direct flights after Qantas abandoned the route in May 2012. New Boeing 787-8 Norwegian Air Shuttle, before it enters its long-haul service career with Norwegian Long haul. This aircraft will introduce for serve European routes for first time. 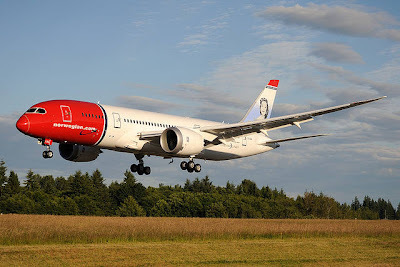 “Dreamtour” by Norwegian Air Shuttle presents opportunity feel with pleasure to fly with new Boeing 787 aircraft for its European customers on this summer. Start from July 4 through August 4 the airline is substituting its new 787 on select European routes from Oslo. This includes flights to London (Gatwick) as well as Alicante, Barcelona, Malaga and Nice on the Mediterranean Sea.